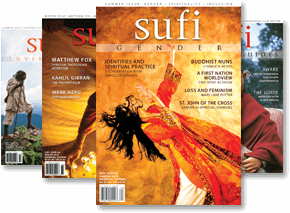 SUFI is a not-for-profit journal providing new perspectives through which Sufism and other spiritual traditions connect to living in the modern world. 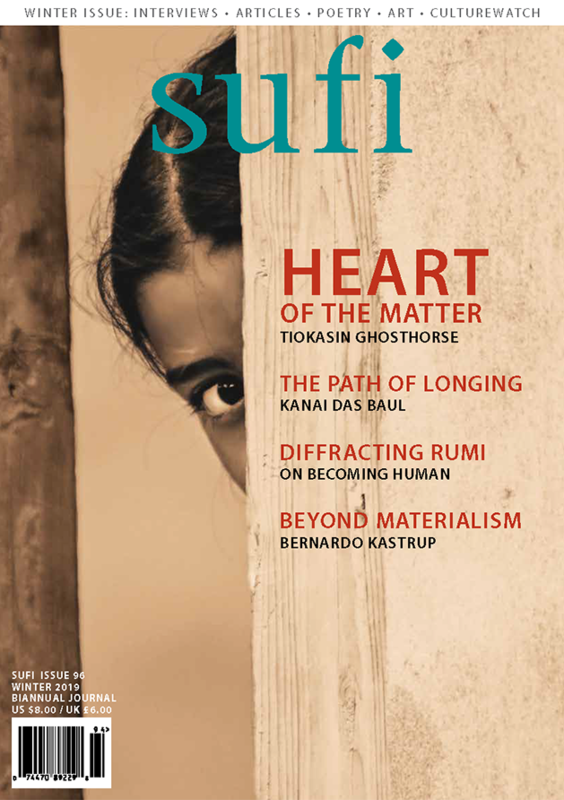 SUFI is a biannual, international journal that explores the diverse aspects of mysticism, spiritual thought and practice through articles, interviews, poetry, narratives, art and reviews. SUFI provides a forum for new perspectives through which Sufism and other mystical traditions become connected to living in the modern world. For over twenty years SUFI has been a place for many scholars and practitioners of mysticism and other religious and spiritual traditions to share their knowledge and experience, and has published work by Dr. Javad Nurbakhsh, Robert Bly, Coleman Barks, P.L. Travers, Huston Smith, Herbert Mason, Carl W. Ernst, Mark Nepo, Annemarie Schimmel, Jeni Couzyn, Llewellyn Vaughan-Lee and William Chittick among many others. SUFI is published by Khaniqah Nimatullahi Publications, a non-profit organization, and is supported by a community of committed writers, designers and support staff who offer their services free of charge for the creation of SUFI print magazine and website. Please make a tax-deductible donation for the ongoing support of SUFI.